Welcome. 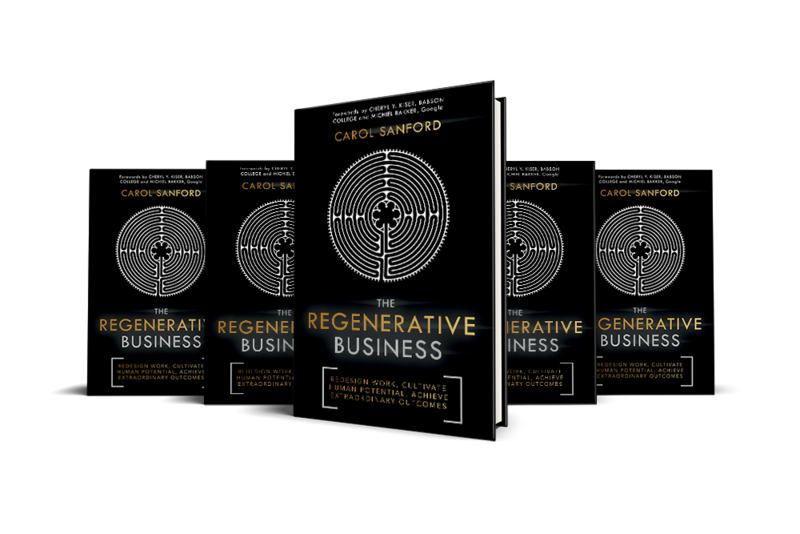 Most likely, if you have come to this page, you are already in possession of a bulk-purchased copy of The Regenerative Business by Carol Sanford, from a verified organization. You have a code to access a digital copy of The Executive Edition of The Regenerative Business Workbook. Once you download the workbook and register on the book club membership website, you will be invited to attend webinars with Carol Sanford, dates TBD. If you still need to make a bulk book purchase, see contact information below. What is The Regenerative Business Book Club? 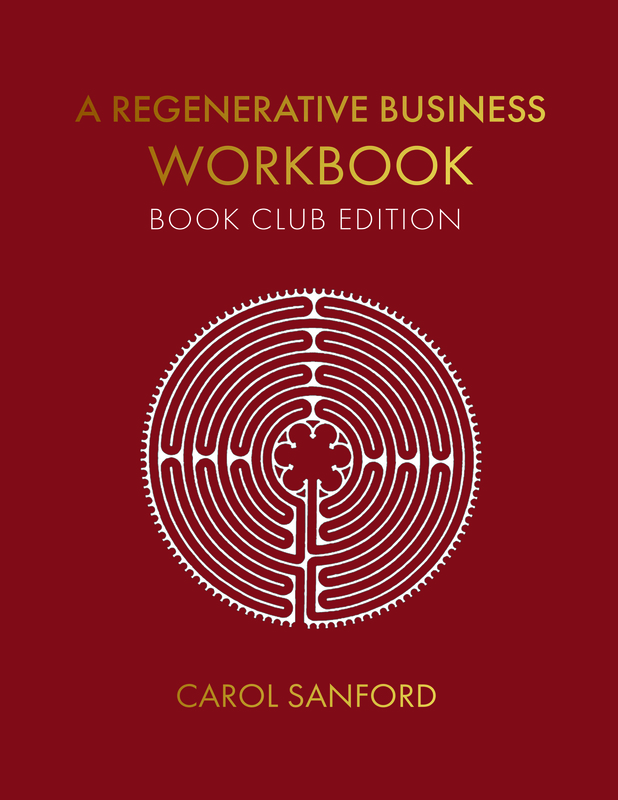 It is a cross-company educational webinar series about applying the ideas in The Regenerative Business by Carol Sanford. There are two components to the Book Club, the workbook and the webinars. Once you have downloaded the workbook, you will be directed to sign up on our membership site so that you can receive more information about the webinars. • The Executive Edition of the Workbook is included when purchasing 100 or more books with a limited use license. • The Executive Edition Book Club meets monthly for 6 months. During each webinar, the attendees will receive new material, not found in the book, based on questions sent in advance by book club participants. There is time for reflection and questions to personalize the ideas in the book. The calls include participants from many companies and organizations who have the intention of implementing the ideas in the book. All calls are designed and led by the author, Carol Sanford. The calls are recorded and posted on our members-only website. See dates for the calls below. Follow up Beyond the Book Club: If you are looking for additional ways to design changes for your organization based on the principles and practices in The Regenerative Business, you might want to join The Regenerative Business Development Community, an online engagement over a year-long period. Twelve to fifteen businesses meet 8 times for two hours over the year. There are four additional personalized work sessions for each business, held separately between the main sessions, with a Resource from The Regenerative Business Alliance, a Carol Sanford Institute Community. Ready to download the Book Club Workbook? Already registered and want to log in to the membership site? * If you do not have a code, you may email Carol to make a bulk purchase of The Regenerative Business for your company. * If you believe your company already made a bulk purchase of The Regenerative Business, contact the person responsible for book purchase at your company. We have no record of codes.